HealthCare.gov sign-ups continue to outpace last year's, with nearly 1.5 million people selecting plans during the first two weeks of open enrollment. About 877,000 people enrolled in coverage through the federally-run Affordable Care Act health insurance exchanges in the second week of open enrollment, on top of the 600,000 who selected plans during the first week, the CMS said Wednesday. The fifth open enrollment period kicked off on Nov. 1 and will run through Dec. 15. About 1 million people selected coverage in the first two weeks of open enrollment in 2016, which was 12 days long, vs. 11 days this year. Of the customers who have selected plans so far, three-quarters are returning customers. The rest are new shoppers. The CMS data shows sign-ups in the 39 states that use HealthCare.gov, but doesn't show how enrollment is going in state-based exchanges. The data also doesn't include customers who will be auto-enrolled in coverage on Dec. 15. 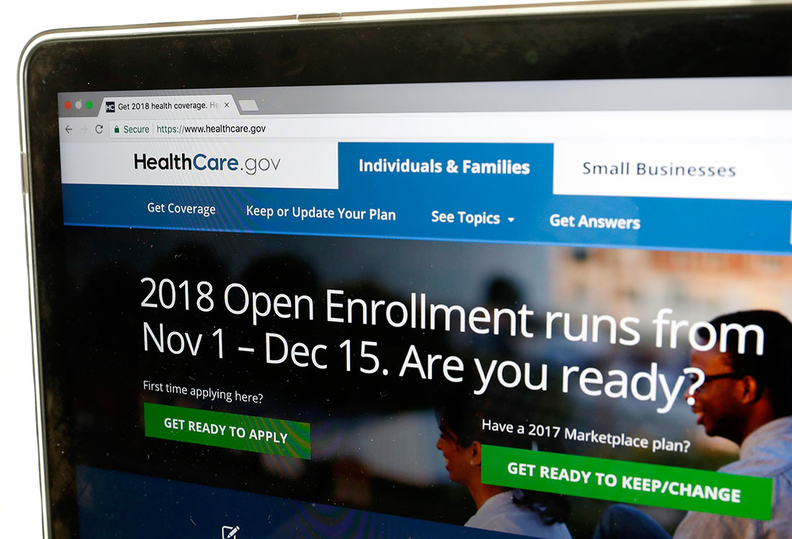 Prior to the start of open enrollment, many experts feared sign-ups would lag this year because of deep cuts in federal funding for Obamacare marketing and outreach, and enrollment assistance through certified navigators. The first two weeks of the enrollment period suggest those concerns may have been overblown.